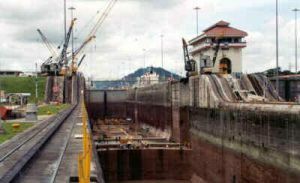 Consultant for Panama Canal Commission to develop repair program for canal caisson and to survey and recommend repairs to various riveted structures in the lock system. Met with PCC Engineers to develop repair program and worked with Repair Division managers. In 1999, A3Pi Services, LLC was designated as the lead marine engineering auditor of a team of auditors confirming compliance of an ocean passenger liner fleet of 32 vessels, involving record review, equipment, and training, and this project was extended into its ninth year as of 2007. In 1998-2001, attended 7 U.S. Flag Tank Vessels to confirm compliance with a Federal EPA Court decision relative to oil pollution in the U.S. Waters. Non-exclusive surveyor for Germanischer Lloyd, covering the Great Lakes and Plains States numerous factory inspections for export equipment certification, involving Third Party Witness of testing, export packing requirements, quality system audits, etc. Non-exclusive surveyor for ABS Consulting (Marine Services) on many world-wide and domestic projects, including structural surveys and accident investigations, SOLAS, MARPOL, and many other disciplines. Independent representative for shipyard acceptance survey, ULCC Tanker “Eagle”, mediating findings between shipyard and owner. 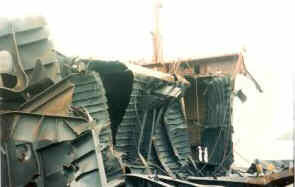 Twenty day survey including riding ship for ten days to examine cargo tanks. Consultant for N.O.A.A. following sinking of Great Lakes based research vessel, including raising, safe transport to shipyard, damage survey and investigation into cause of sinking, plus potential repair estimates. Investigation to determine the cause of hull fractures in design class of ocean purse seiners in Pago Pago, American Samoa for London Underwriters. 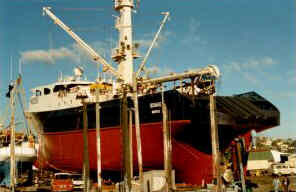 Subsequent repair procedure approval with shipyard in Whangarei, New Zealand. Attended mediation between underwriters and vessel mortgage holder to assign responsibility for repair costs. Investigation of sunken tuna seiner for French Underwriters, resulting in full surveys of sister vessels and development of repair program to eliminate hull defects found during investigations. Supervised repairs in Fiji, Australia and New Zealand. Deposed for subsequent lawsuit. Several projects for N.O.A.A. (National Oceanic & Atmospheric Administration), working with ship engineering section. Attended research vessels in Kwajalein, Marshall Islands and Manzanillo, Mexico to investigate hurricane damages and propose repairs for safe resumption of voyages. In 1993, N.O.A.A. 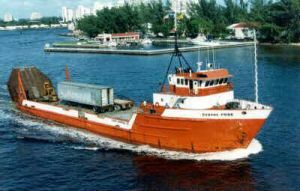 used A3Pi Services, LLC to evaluate the condition of an aging research vessel and recommend methods and costs to rehabilitate the vessel. Salvage of capsized dredge at Erie, Pennsylvania for The Great Lakes Towing Company. Performed all engineering to design and install rigging for righting operation, coordination of contractors, supervision of all personnel for successful righting in 6 days. Also obtained repair proposals and worked with underwriters to review repair invoices. Testified in Arbitration proceedings following the incident. Investigated weld defects in Suez-max tanker at Dubai Shipbuilding, U.A.E., to determine cause of oil leakage and causes of weld failure. Investigation of oil tanker explosion at Port of Spain, Trinidad and Tobago. Coordinate independent team to determine cause and responsibility. Numerous small passenger vessel designs, conversions, stability tests and regulatory approvals. Full responsibility for Coast Guard approvals and structural drawings plus work supervision. Numerous small passenger vessel designs, conversions, stability tests and regulatory approvals. Full responsibility for Coast Guard approvals and structural drawings plus work supervision. Perform regulatory review for gaming vessels and barges, including weld inspections, stability review and state mandated regulation compliance. Drydocks in Guam, Boston, Great Lakes, etc. Cruise vessels, Alaska, Caribbean, Bahamas, Florida, Mediterranean, Baltic and hundreds more. Used as expert witness and/or expert consultant for various law suits relative to marine design, construction, operations, repairs and underwriter interests. A3Pi Services, LLC looks forward to the opportunity to be of service to your needs and will use its varied experience to obtain the best possible results.